At Manhattan Dermatology of NYC we use two methods of removing your spider veins: sclerotherapy and laser vein removal. Both methods are about 90 percent effective for ridding your body of spider veins.Spider Veins are different from varicose veins. Untreated varicose veins can lead to deep vein thrombosis, skin ulcers and sores, blood clots, bleeding. Make your appointment today with a leading vein removal specialist in NYC, dermatologist Dr. Bard of Manhattan Dermatology. 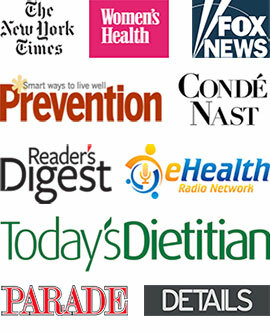 Dr. Bard is among the best dermatologists NYC, an internationally recognized, book author and contributor to a multiple industry top Dermatology citations. Spider veins, called telangiectasia in the jargon of your medical skin doctor, are common, especially as you age. Heredity plays a big role in whether or not you’ll be among the more than 55 percent of women and 45 percent of men who have some level of spider veins usually on the legs. Are pregnant, since your uterus places extra pressure on your veins and your body produces extra blood during this time. Varicose and spider veins worsen with each pregnancy too. Are going through hormonal changes such as puberty, menopause or pregnancy. Also, taking certain hormone-based medications like birth control that contain progesterone and/or estrogen can cause spider veins to develop. 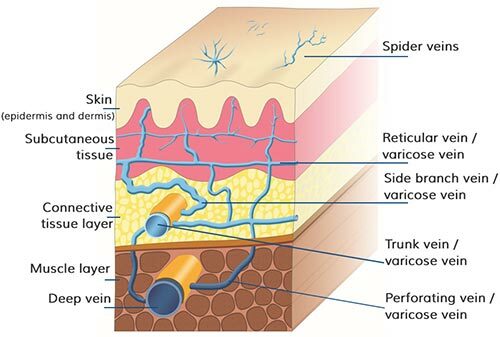 Spider veins usually are easily recognized by your Manhattan dermatologist with just a visual inspection. They don’t always carry the same symptoms as the larger, more irritating varicose veins. And while they don’t have any serious medical side effects, spider veins can be uncomfortable and even painful. Whether you’ve just the faint beginnings of spider veins or know that you have a family history of the weakened blood vessels, talk to your New York dermatologist about the best way to prevent them from happening or at least to reduce the amount you get and the side effects that come with spider vein development. Wear compression stockings, especially when you know in advance that you’ll be on your feet for an extended period of time. Nurses, teachers, waitresses and retail salespeople all can benefit from wearing at least light compression stockings that are measured in gradients of mercury for the amount of pressure put on your legs. 15 to 20 milliliters is an effective pressure to stave off spider veins. Increase circulation in your legs with regular exercise. Your legs are most susceptible to spider veins because of their distance from your heart. The blood vessels in your legs have to work harder than others in your body to breach that distance coming and going. Elevate your legs above your heart whenever you get the chance. After work, lie down and prop them on a pile of pillows for at least on hour. Reduce the pressure on your legs by avoiding sitting with your legs crossed. Take regular walks every 30 minutes when you sit all day. Lose weight if you carry any extra pounds. Apply sunscreen on your face, especially if you’re blond and/or light-skinned. Once you’ve decided to take steps to rid your skin of the unsightly spider veins, your NYC dermatologist has a number of options from which you can choose. One of the most successful treatments is sclerotherapy. The procedure involves injecting your veins with a solution that causes the tiny veins to collapse and die. The blood flow is stopped and what was once a red or blue line, fades away and disappears within a couple weeks. Sclerotherapy is about 90 percent effective for ridding your body of spider veins. 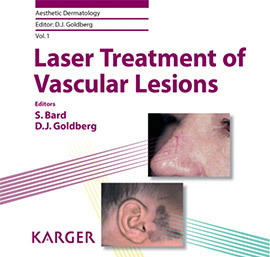 Another popular treatment involves the use of lasers. Your skin doctor may decide to use laser treatment on those spider veins that are particularly tiny and narrow because they are more difficult to inject. The pulses of heat can be directed so a specific pinpoint under your skin to eradicate the spider veins. While the spider veins that have been treated won’t return to cause you more concern, it’s likely that you’ll develop more spider veins, especially if you don’t take the precautions listed above. Your dermatologist in New York City cannot cure weakened veins, but regular visual examinations and ultrasound tests can help monitor your venous activity. And following the advice of your dermatologist for lifestyle changes that will improve your skin condition are vital to reducing your risk of developing more spider veins. Do you have any questions about Spider Veins? Would you like to schedule an appointment with an internationally recognized, best rated NY dermatologist, Dr. Susan Bard of Manhattan Dermatology? Please contact our Midtown or Upper East Side NYC dermatology clinic for a consultation with cosmetic and laser dermatologist.